Call 09 281 9429 to speak to a member of the admin team, ask questions or get help with booking in ( we are training most days and so unable to answer calls immediately ourselves but can deal with specific ‘odd’ requests by email ) or book online now – use the calendar opposite to find an available date and book in and pay immediately to secure your place ! Get your Learners, CBTA Restricted or CBTA Full licence TODAY! 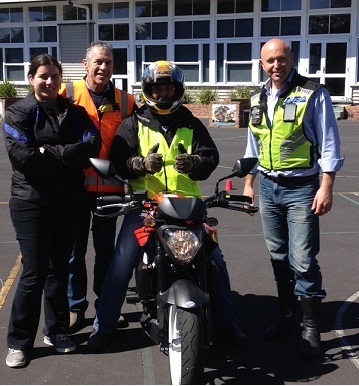 Are you looking for Motorbike Training on the Northshore Auckland? You’ve come to the right place! 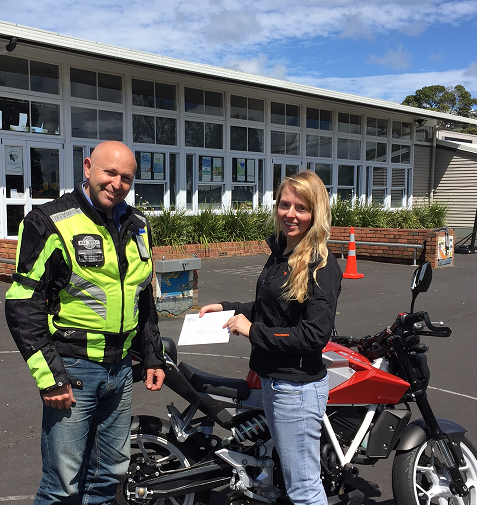 From Basic Handling Skills to CBTA Restricted and CBTA Full Licence, we can train you and assess you for all motorcycle licence classes. We also offer Advanced One to One personalised coaching for the more experienced rider. Call to discuss your needs. We cover it all, nothing is too hard! We’re more than happy to chat through things or send info (fill out the box below if you want info on the Learner Licence process). To get started today and book in either use the calendar opposite or call 09 281 9429 now. 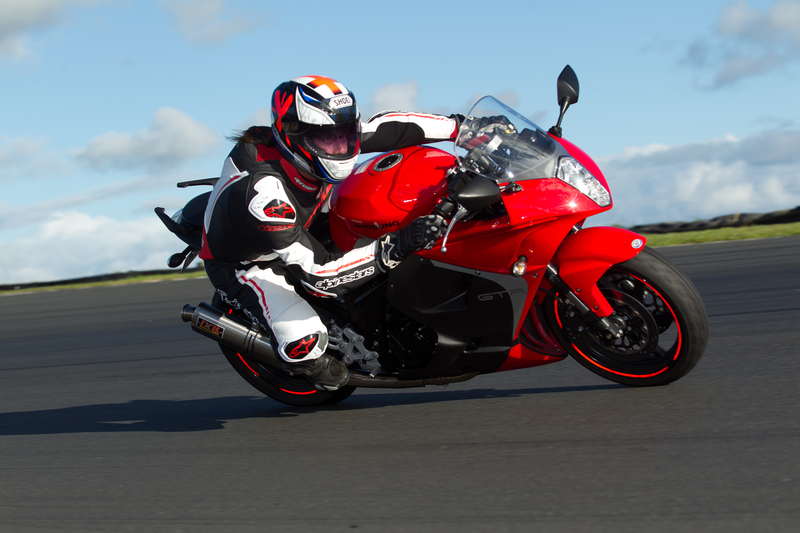 Get info on our Learner Licence course here! IMMEDIATELY receive info on the full process, training course content, location details, equipment provided, what's involved, and availability - you can reserve a place too. No experience necessary. Too easy! Select the class or service you require below. Please read and select carefully. Generally, if you need to book training / a test for a CBTA Restricted or Full Licence, make sure you select “Book a service” first. For a Learner Licence, and Basic Handling Skills Training, select “Book a class“. *You must have held your Restricted Licence for at least 9 months before you can sit your Full Licence Test. Check this before booking – look on the back of your licence. The background story first: up until and including yesterday, every stage of my training and testing and (including several Ride Forever courses) was completed with a different training company. But – here’s the thing – no one really got through to me and actually helped my riding. My experience across 4 other NZ training companies (including the larger, well promoted and advertised ones with all the leaflets everywhere) is that those other outfits just focus on handing out stock material, and passing your test – which is fine but let’s be honest, the bar is set pretty low to pass. While others flick through a folder of handouts, David takes the time to explain, and shows you what you personally need to know and experiment with until he knows you not only understand but can also put it into practice on the road (what was supposed to be a two hour session turned into almost four only because I’m a horrible student & we were having way too much fun). David was fantastic, the training and insights he gave me totally changed how I ride my bike and I cannot recommend him more. I have done other courses but learnt more off of David in 2 hours than in other full day courses and then some!! After a gap of 35 years I am back biking, Had a 2 hour refresher with David, boy was it worth it! During the 2 hours my confidence grew and grew, David was a great tutor, patient and encouraging all the way. Very helpful with David talking to me on the radio headset during the lesson. Money well spent as now not so nervous about riding again and things are coming back to me. Would definitely recommend new as well as previous riders to book some time with Accelerated Rider Training. I did training and then my restricted test with Dave. Dave is a very friendly and easygoing person. I learnt so much in just in the little time I spent the with him. On my test after the training I felt very comfortable and this was not like me, this was thanks to Dave’s personality. I recommend him to anyone for any type of training you may need. James d. says: David is a friendly and very knowledgeable instructor, I had a great time getting my confidence up riding at the BHS. Ben M. says: Had a great training ride with David on Thursday. Booked an other session straight a way for some more tip, advice and training in preparation for a long ride I have coming up and in prep for going for my lience. Cheers mate . Aaron T. says: After years of riding and racing as a kid and finally getting round to obtaining my license, albeit in my forties!!! I have found David’s tuition and advice invaluable. Getting back on two wheels after a break of about ten years actually can be a little nerve wracking but David helped not only with my licensing issues but also my confidence as a returning rider. A great service and skilled advice to stay safe out there . Thank you David . 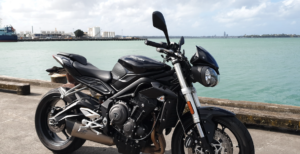 natacha w. says: Whether your a first time bike rider, returning to bikes or you just bought a new one , David is the man to see.. ! He attention to detail and personality makes learning fun. As a nervous first timer I found him very reassuring and quickly gained skills and confidence. I have just done my CBTA restricted with him, and booked in for some more lessons when I get my new , bigger bike ! I cannot recommend David more highly and have already sent several of my friends to him! David has helped me become a safe confident riderand I will stay with him for my full license, change bikes or a leisurely ride now and again ! Thanks again David ! From No to GO ! Great teacher, very patient and knowledgeable. A complete novice trying to achieve an item on the bucket list! I was not the most coordinated pupil but both Dave and Ed never gave up and encouraged me to continue. Still work to do on ‘the journey’ but will definitely get there thanks to their efforts. Great team and anyone with similar bucket list thoughts…..get off the couch and get on the seat! It is not until you try something that you realise what is involved.. not only did the basic handling skills course teach me what I needed to know, but, and probably MORE importantly, what I need to learn in the future. It is not a case of “I have done the course so I know everything”, but more like ” I have learnt how much i do NOT know” (! )..BUT it gave me the tools to learn. Apart from that, it was awesome fun too. Thanks for teaching me an advanced technique for a speedy riding around curves, which fulfill my riding. From my personal point of view, I think he is a perfect instructor, in term of leadership and nice warm hearted person. Luckily me to be able to manage my time and got the training. I have been participated in many advanced riding courses, I guarantee and assure that he is the right person to choose. Wishing you the best! Cheer.. .
I’ve ridden off- road bikes before but was a complete novice on the road. Dave was incredibly patient and gave clear instruction. His input via the headset while riding was invaluable. He encouraged me and kept me very relaxed. Dave has a wealth of knowledge and is passionate about sharing it with his main goal being that you enjoy your training experience yet learn great skills. Achala S. says: Excellent one-on-one assessment with tons of useful feedback. I am grateful my areas of improvement have been picked up sooner rather than later. The only way you should go if you want to graduate from your current licence! 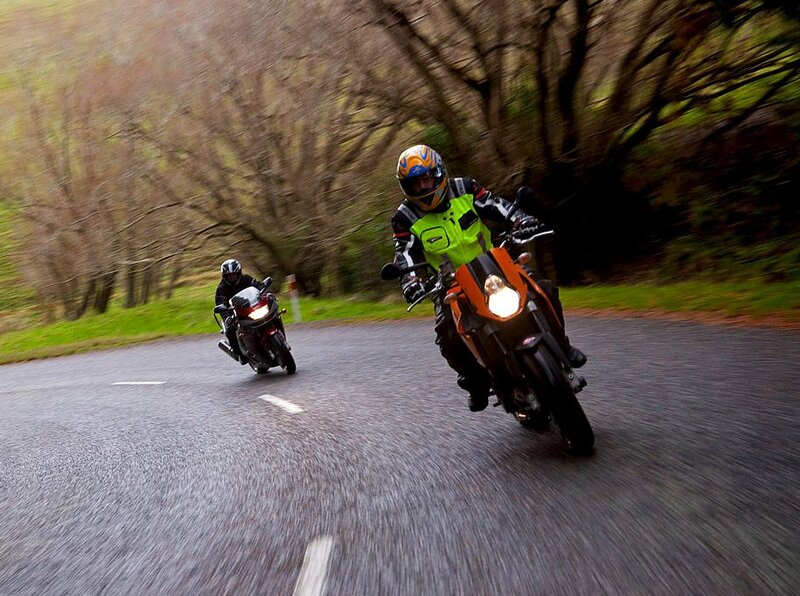 Matthew L. says: A great introduction to the world of motorcycles, instructions were simple and clear. The tasks given were related to what would happen in the real world. I will definitely be having some further traing with David. Ilse H. says: David is an awesome instructor, gives great tips how to improve my skills. Due in a couple of wks to get my restricted, but will continue with David for other courses, like riding on gravel. Thanks David for making me a better and safer rider. Great way to start out….as a returning rider! I came into the course having been a rider from years back. I thought I new what I was doing, David showed me that I still had lots to learn. So this is a great course to go on even if you are an expert. Picking up helpful advise, hints and tips from David really helped me out and readjusted my veiw on riding road bikes properly. Cheers David! Garrick.